"It's time to watch 'The Big Short' again, except insert Canada." David LePoidevin admits he's been wrong about Vancouver real estate in the past. But now, the West Coast-based fund manager finds himself standing with a growing chorus of observers offering grim portents for the future of Canada's hottest housing market. He thinks a crash may be happening already. And there are numbers to back him up. 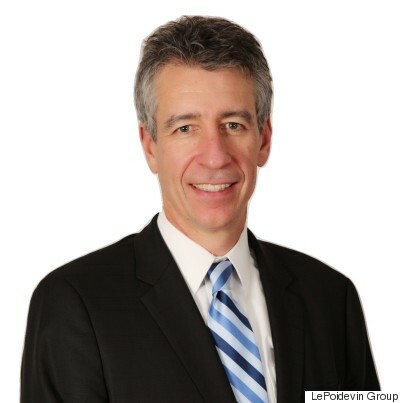 LePoidevin manages over $1 billion in assets as part of his own fund, the LePoidevin Group. And he has courted investors by advertising that he's not exposed to Vancouver's housing market. He has no money invested in Canadian banks (he fears a housing decline could drag them down). But he's shorting both Canadian Western Bank and Laurentian Bank, as well as non-bank mortgage lenders Home Capital Group (HCG) and Equitable Bank. 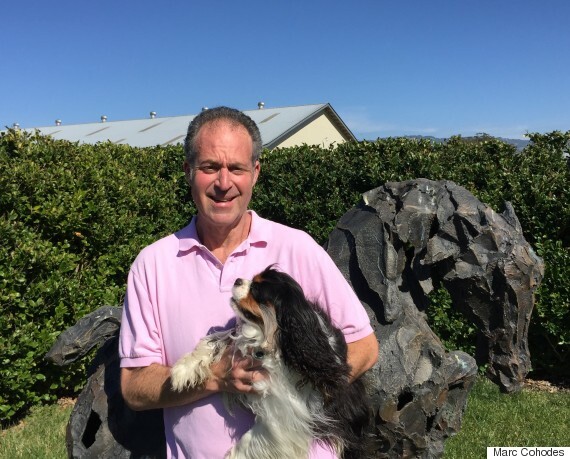 Three years ago he pitched his fund to potential clients by inviting Ben Rabidoux, a prominent housing bear, to Vancouver to talk about how the market is set for a correction. A crash didn't happen in the intervening years. 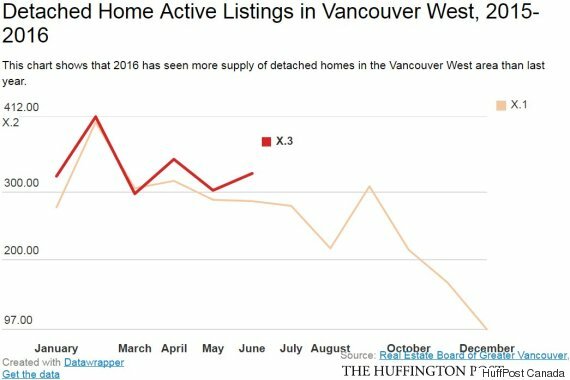 But now, LePoidevin sees signs of one on Vancouver's affluent west side, where June sales fell by 35.6 per cent year over year. The blue line represents 2015. The purple line represents 2016. Slowing sales have been blamed on a lack of supply in the past. But supply on the west side is actually up this year, with 12.5 per cent more detached homes listed for sale in June than a year ago. The orange line represents 2015. The red line represents 2016. The west side has long been the subject of stories (and speculation) about the influence of foreign money, and how it's been driving up prices in the area. Three years ago, the benchmark price of a single-family detached home there was $2,070,200. Last month, it was $3,547,000. LePoidevin thinks sales are dropping now because China is cracking down on money flowing out of the country in an attempt to keep its currency, the yuan, from depreciating. Chinese residents can only buy about $65,000 worth of foreign currency in a year, although some have found back channels allowing them to take out more. 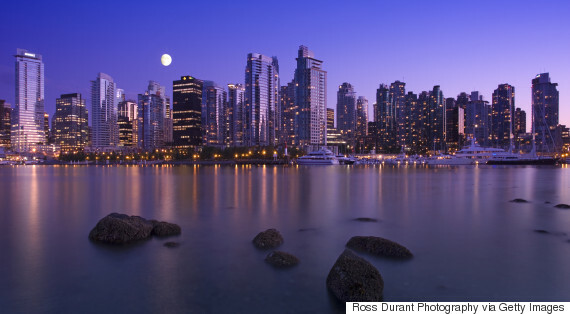 Reports have suggested that such capital has found its way into Vancouver housing. But both banks and the government are now keeping a closer eye on purchases of foreign currency. "I think the evidence now is that, we underestimated the amount of foreign capital that would come directly out of China ... to Vancouver," LePoidevin told HuffPost Canada. "I think at the end of the day, the efforts by China and the People's Bank of China on stemming foreign capital flows, including putting people in jail now for the first time, are starting to work." But that's not the only sign that the market could be fraying, he said. Canada's main financial regulator is stepping up its oversight of mortgage lending, particularly how creditors verify borrowers' income. Add to that the fact that Scotiabank has pulled back on mortgage lending in Vancouver and Toronto, and you have signs of growing concern about the West Coast real estate market. 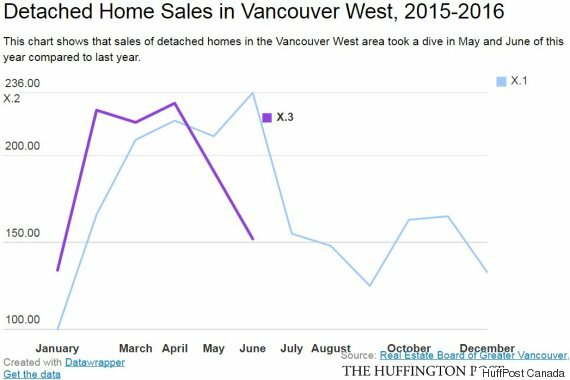 The Vancouver housing market reminds LePoidevin of the Dotcom bubble. Back then, stock valuations were "severely stressed" and the NASDAQ lost 78 per cent of its value. 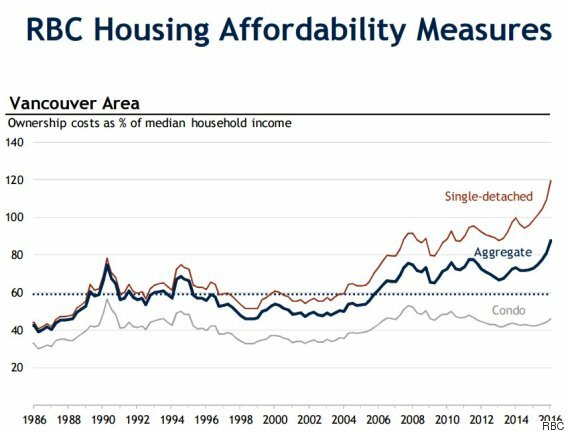 Today, LePoidevin is examining a housing market where the price of a single-family home is well outside the range of local earnings — inflated, in other words. He sees the potential for a price decline of about 50 per cent. Such a correction would take Greater Vancouver's benchmark price from $917,800 down to $458,900 — a dramatic drop, and beyond previous worst-case-scenario predictions of 30 per cent. "The last move in any bubble is the biggest," he said, noting a 32.1 per cent increase in housing prices on Vancouver's west side in just one year. "The NASDAQ went up 25 per cent in four months, and Vancouver real estate, with incomes growing at about two per cent, went up 30." LePoidevin is hardly alone in offering dire projections for Vancouver housing. Ex-Wall Street short seller Marc Cohodes told HuffPost Canada that Vancouver is in a serious housing bubble — and he can see prices dropping as much as 50 to 70 per cent. He says the fact that prices have kept growing doesn't mean a crash isn't coming. "In bubbles, or in life, people can get mighty fat before they keel over and die of a heart attack," he said. "And bubbles can get big before they pop." Like LePoidevin, Cohodes believes that foreign money is driving prices to unsustainable heights. Recent media stories have pointed to the influence of such cash on real estate. Earlier this year, the U.S. National Association of Realtors (NAR) issued a report showing that Chinese make up the largest proportion of foreign buyers in America. 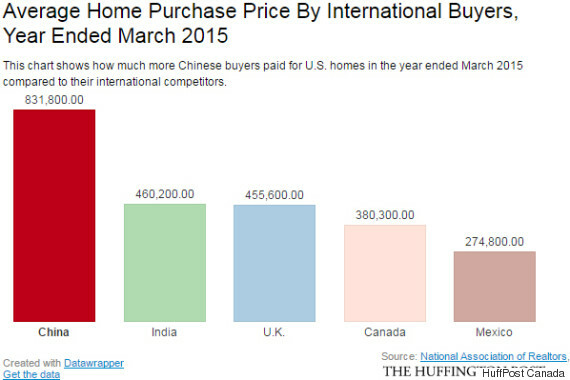 Last year, the average home purchase price for Chinese buyers was US$831,800, more than purchasers from any other country. And many of their purchases have been concentrated in West Coast states such as Washington and California. But when he looks for examples of money laundering, Cohodes cites a Province newspaper story about a "student" who bought a home in Vancouver's wealthy Point Grey neighbourhood for a record $31.1 million earlier this year. "How does this go on? Who is looking the other way on a transaction like this?" he told The Huffington Post Canada. "Someone is clearly looking the other way, because here [in the U.S.], if something weird were going on, people would be up some folks' asses big time." Cohodes warns that the Chinese government could crack down on capital outflows even further — a move that would stem the flow of money to Vancouver's housing market, he argues. "When you solve this money laundering problem, that's going to create some form of correction," he said. Neither LePoidevin nor Cohodes can be certain of when a crash could happen. But they're certain it will. "Everywhere this has happened, there's been a price adjustment," LePoidevin said.